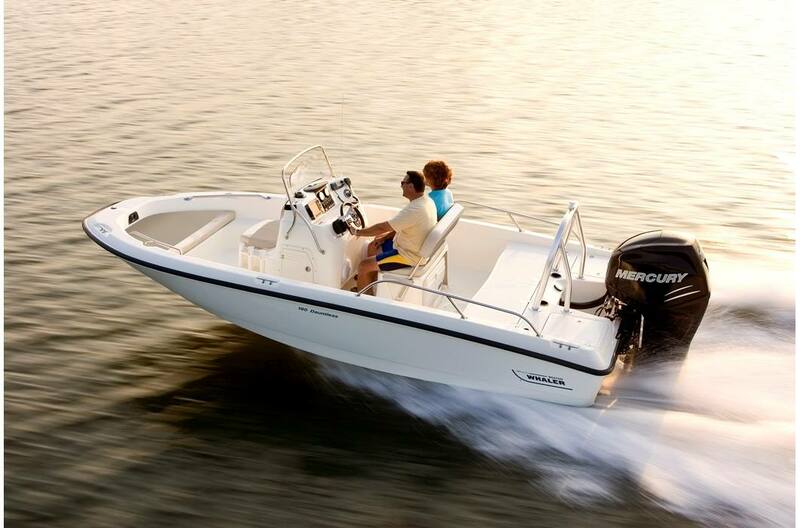 The 180 Dauntless® invites on-water adventure of every type. 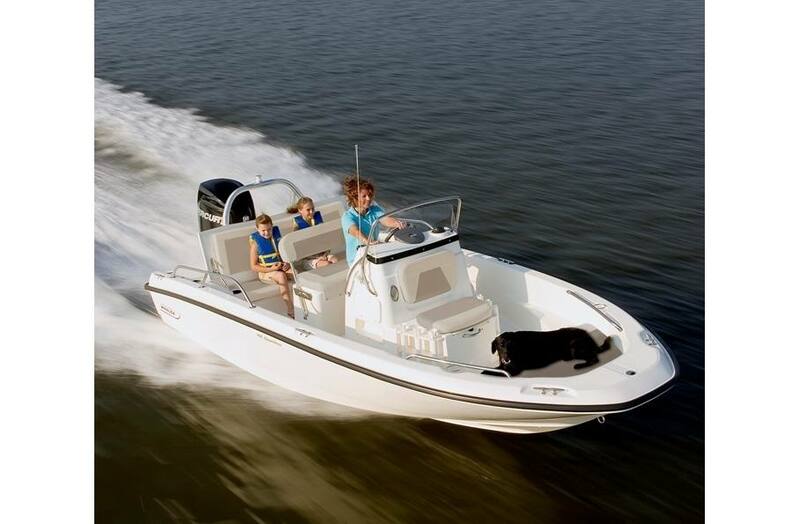 Anglers benefit from ample amenities, space and control, while watersports fans will love the powerful yet nimble performance. 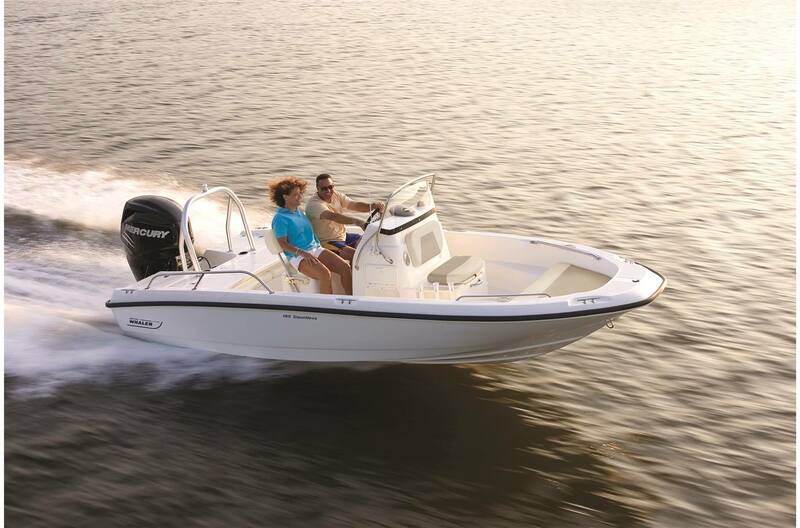 Every passenger will appreciate the comfort and style that denotes Boston Whaler's emphasis on true quality, as well as the confidence Whaler inspires every time. 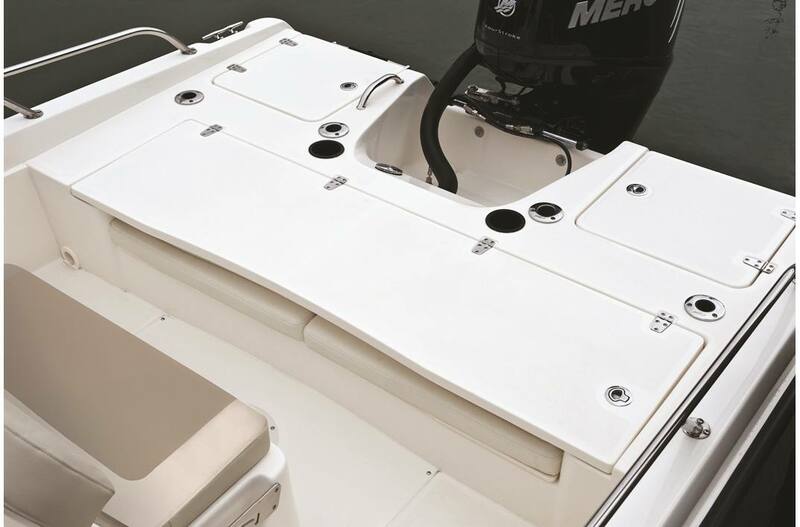 Six console-mounted rod holders keep your rods right within reach. Reversible pilot seat with locking backrest comes with a 54-quart slide-out carry-on cooler. 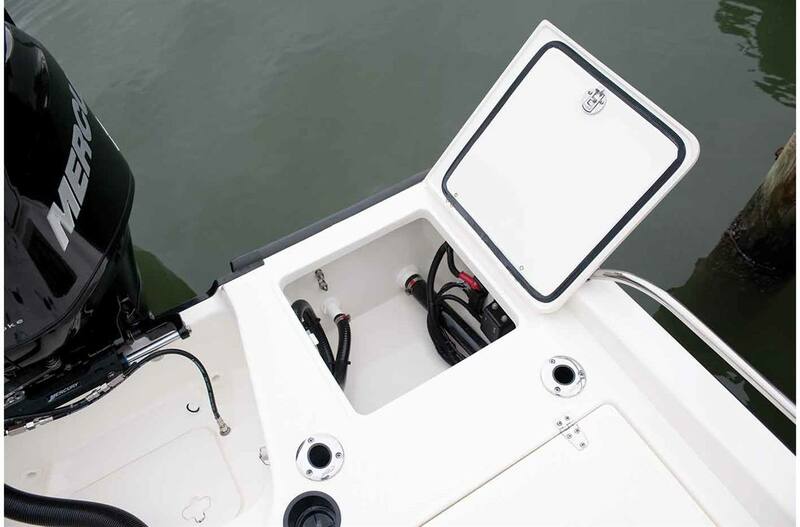 Lockable console storage compartment keeps valuable items safe and secure. Integral swim platform features a telescoping ladder to make water access effortless. 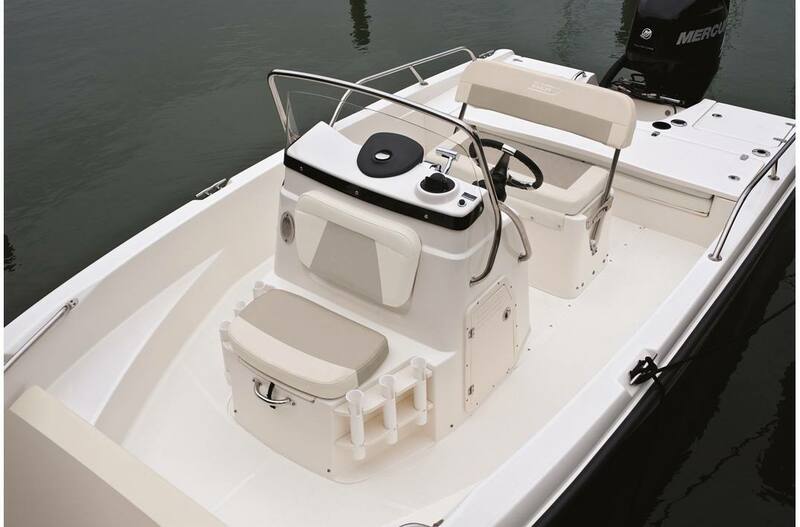 Robust aft seating converts to form a wide casting deck. 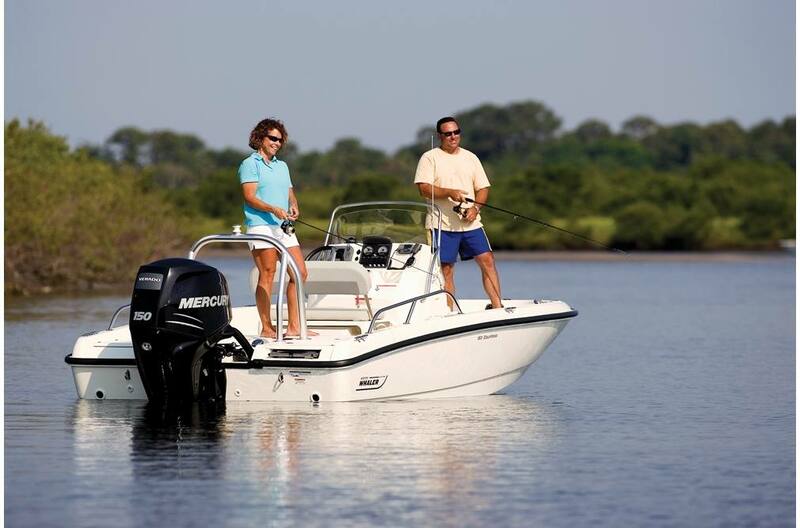 Optional front console livewell, pedestal fishing seats and trolling motor panel. 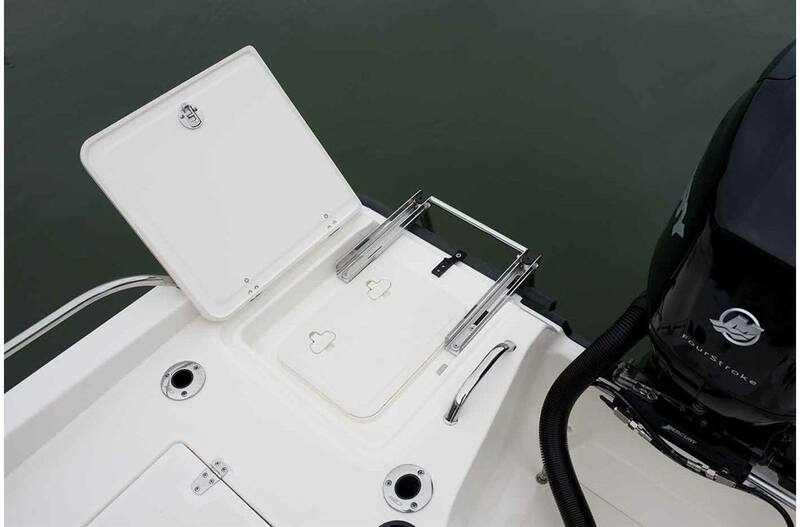 Popular All-Activity Tower™ option adds more rod holders, a tow bit and additional watersports capability. 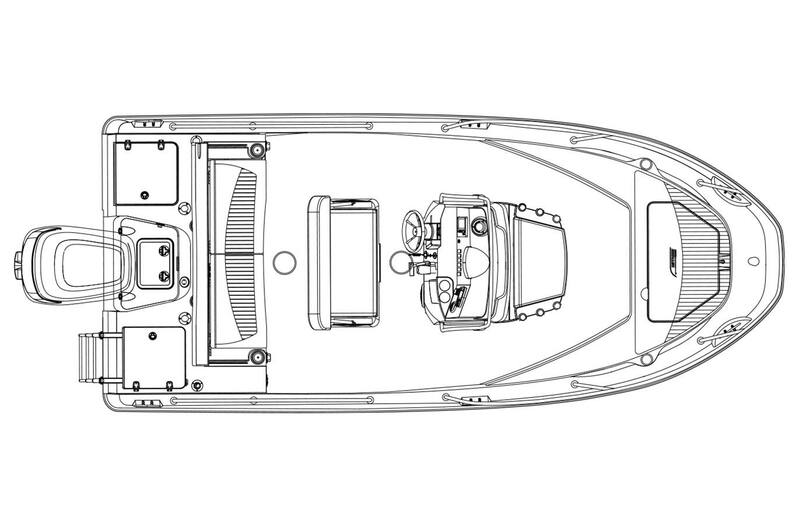 Height (keel to lowest point): 5 ft. 10 in. 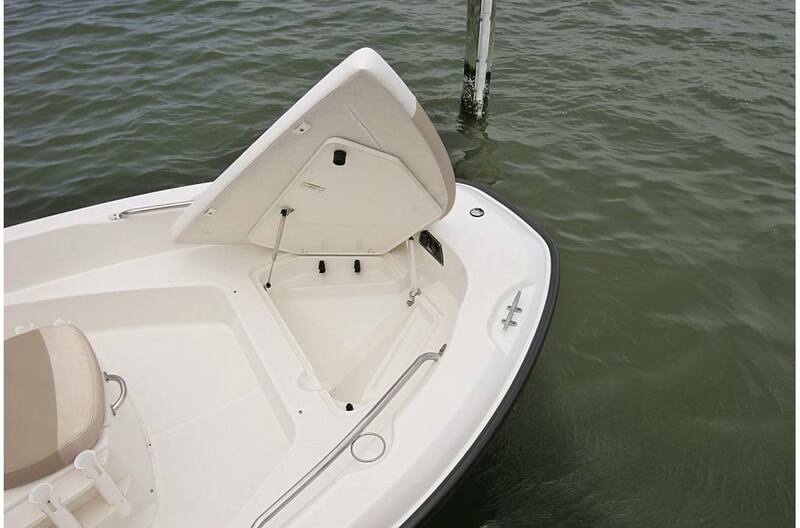 Height (lowest tip underwater gear, in down position, to top of windshield/hardtop): 7 ft. 2.5 in.